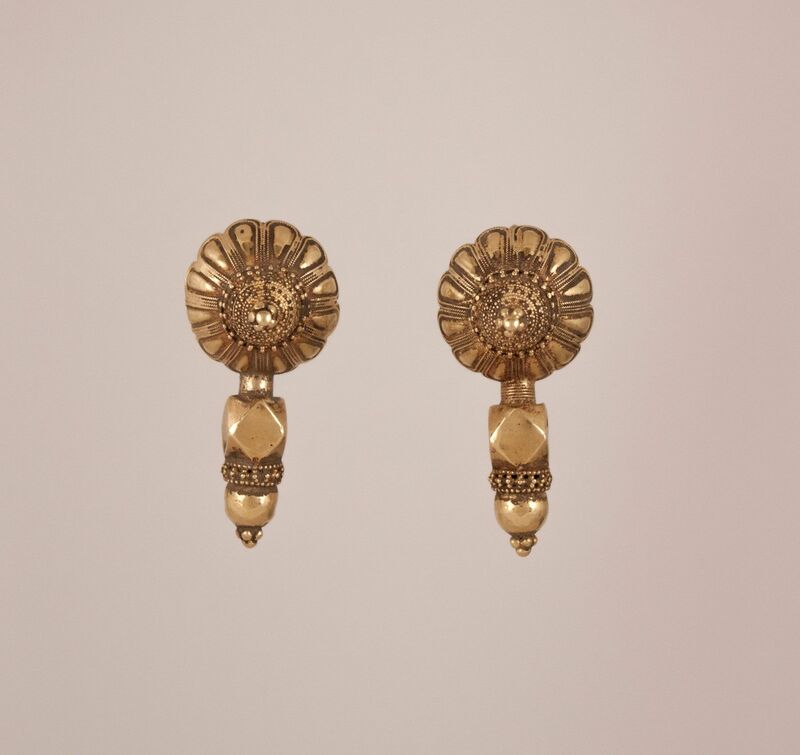 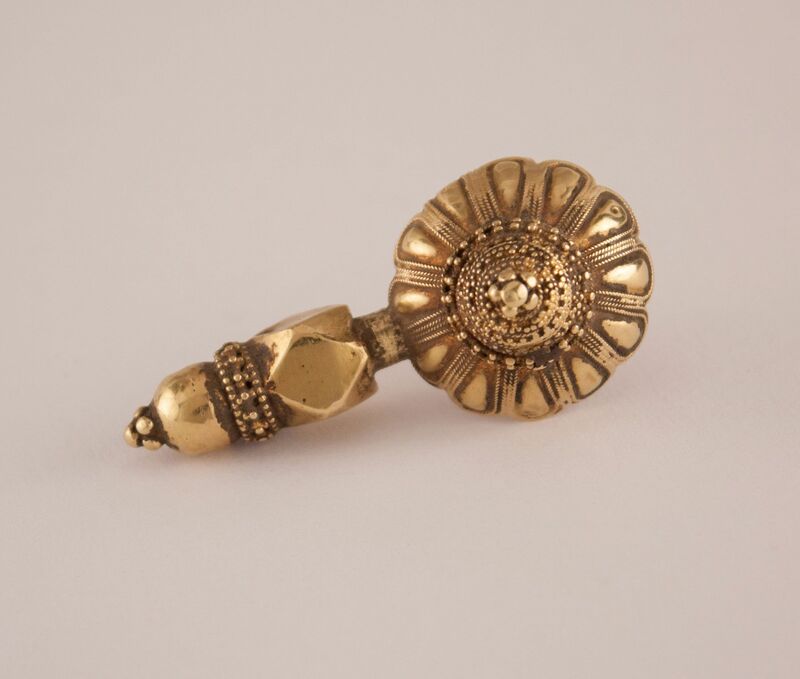 A collector's pair of traditional 18 karat gold fixed wire earrings from Northern India. 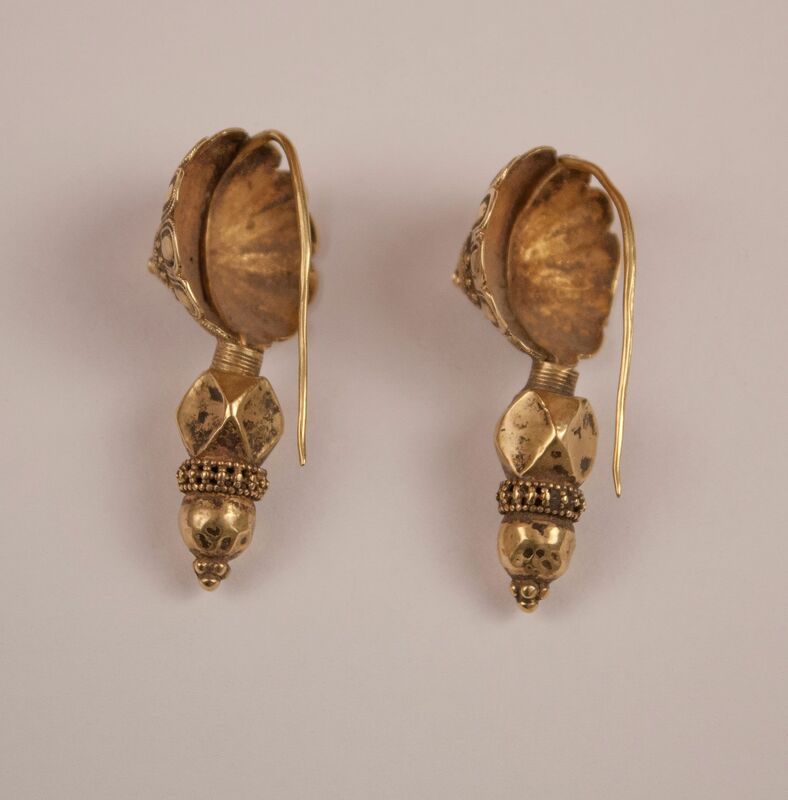 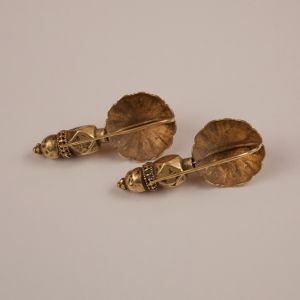 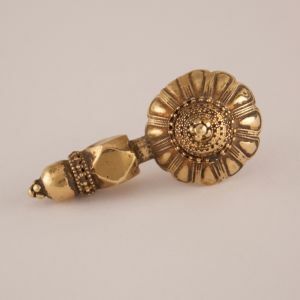 These circa 1950 ethnic works of art have a wonderfully worn patina and feature hand tooled lotus blossoms, fine granulation work, and geometric beads. 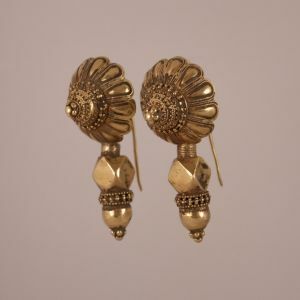 The wires are a bit thicker than contemporary earrings, which is typical of the style and period.